Photographer Petra Collins has cleared up the mystery of the yellow “fall risk” bracelet seen in the below photo. It turns out that Selena went straight from the hospital, where she was being treated for lupus, to the photo shoot for the “Bad Liar” single. So whether the bracelet was simply left on or serves a symbolic purpose remains to be seen. Selena Gomez has been teasing fans for a while regarding the video for “Bad Liar,” and now it looks like she’s finally ready to deliver: new artwork has been released, and people are pumped. But some of the images have left fans shocked, particularly one where Selena Gomez is wearing a yellow wristband. It’s not just for looks or aesthetic; that wristband has a serious meaning behind it, and one that encourages people to sit up and take notice. 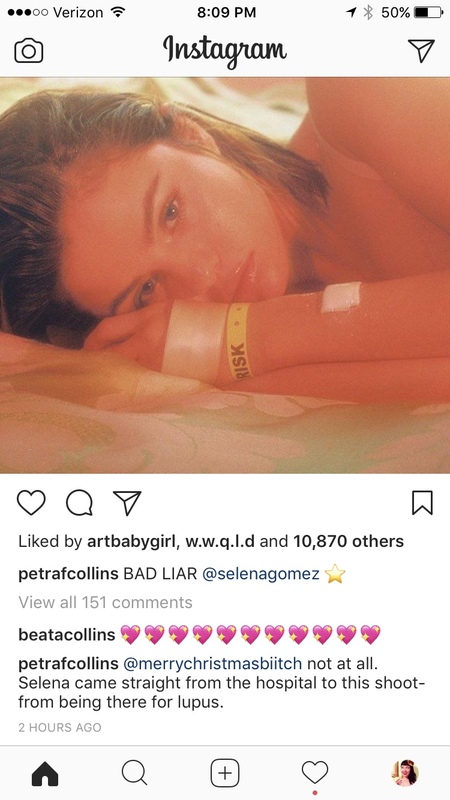 Gomez has always been upfront and honest about her past struggles with mental health, and the yellow wristband featured in the “Bad Liar” artwork echoes back to that. 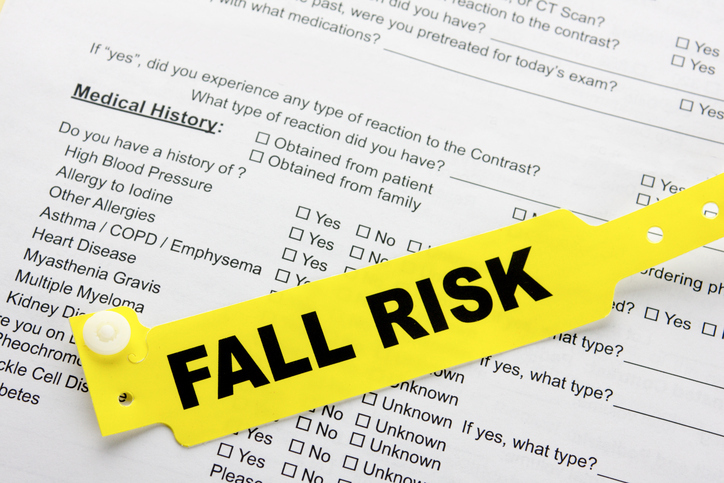 The wristband has a very specific meaning: people wearing that color are at risk for falls. This can be worn by the elderly or those who have been made weak by illness. It is meant to alert those around the person to keep any eye out should they stumble and need assistance. The question now becomes, why is Selena Gomez wearing this wristband? We know she received help at a rehab center. Is it a reference back to her own battles with mental health issues? Is it a statement on how weak she feels due to some emotional toil? Or does it allude to something else entirely? We won’t be able to say for certain until the video is released, but the powerful image of Gomez with the yellow wristband and bandages on her arms speaks volumes. The video for “Bad Liar” will be released tomorrow on May 18th, so luckily our search for answers won’t have to last very long at all.